Sulfates, essentially, are what make shampoos turn into a thick lather in the shower. This ingredient, which is standard for most shampoo (and household cleaning) products, has additionally come under attack for causing hair damage. The ingredients that are responsible for that extra lather, sodium lauryl sulfate and sodium laureth sulfate, don't add nutrients to strands and are not in the formulas typically labeled as sulfate-free. Sulfates are an ingredient commonly found in various shampoos and bubble baths. When it comes to shampoo, they produce a lathering effect that aids in removing dirt and debris from your hair. They are responsible for creating that sudsy effect that helps you work your shampoo into a rich lather and for creating that foaming texture that helps you clean your hair and scalp. As effective as they are in ridding your hair of dirt, sulfates can also strip your hair of essential natural oils. One of the benefits of using a sulfate-free shampoo is that your strands won’t lose their natural, healthy shine. Lock in some extra moisture by using Love Beauty and Planet Sulfate-Free Shea Butter & Sandalwood Shampoo, which is known to hydrate your hair for next-level moisture. Unfortunately, sulfates can wreak havoc on many different hair types. If you have colored hair, you might notice your color looking faded and lackluster after using a sulfate shampoo. Stick to a sulfate-free option like Love Beauty and Planet Sulfate-Free Murumuru Butter & Rose Shampoo to keep your color looking vibrant and glossy. 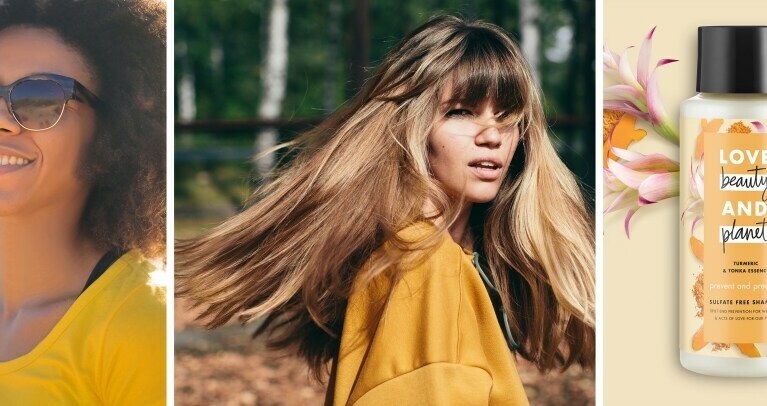 Sulfates can be super drying for some hair types, which can lead to damaged and dry ends. Opting for a product like Love Beauty and Planet Sulfate-Free Turmeric & Tonka Essence Shampoo is a sure way to avoid sulfates while using natural ingredients to strengthen your strands. Those of us with sensitive scalps know that the wrong hair products can make an already-challenging situation much, much worse. Sulfate-free shampoos promise to be easier on sensitive scalps and won’t irritate any dryness or itchiness you’re already experiencing. The dryer your hair, the harder it is for your curls to rock their tight, hydrated curl pattern. Sulfates will dry out your strands, so it follows that avoiding them will keep your hair (and your curls) super hydrated.